Last year, we spent a weekend in Barcelona. After a night out with too many beers and too few tapas, we simply had no more energy to shuffle along the city’s streets flitting from sight to sight the next day. Said and done, we just boarded a hop-on, hop-off bus and travelled around the city. At the end, we felt sick anyway and would’ve preferred to explore the city at our own pace. As a visitor to Vienna, you almost habitually use public transport to get from A to B, you walk, you take a taxi or the mentioned sightseeing bus line. 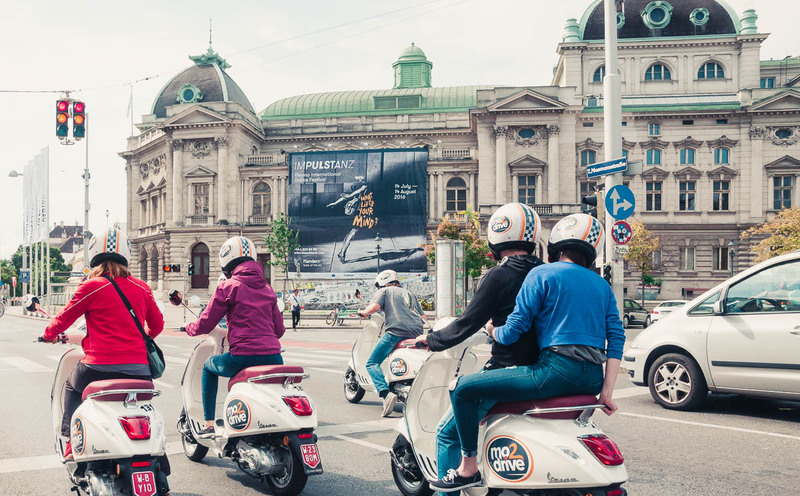 But there’s an alternative to bicycle rental services, public transport and car sharing services: now, there’s an option for motorcycle enthusiasts visiting the city, to explore the imperial Habsburg city on two motorised wheels. 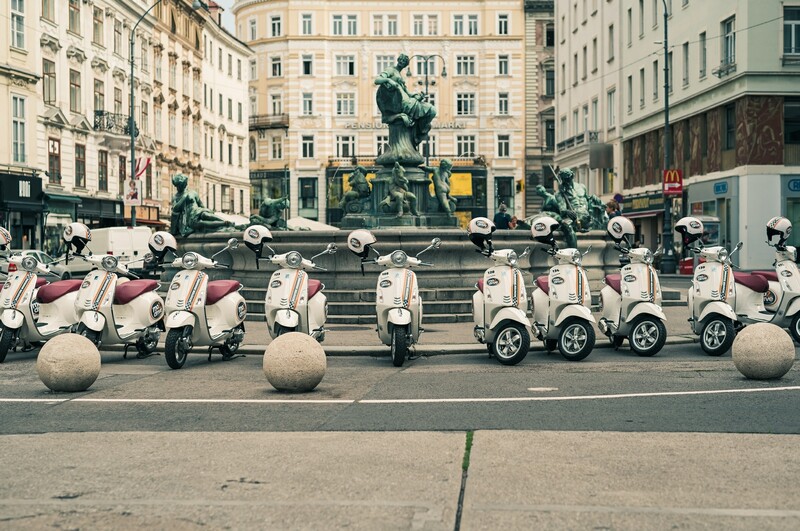 Mo2drive is a scooter rental service in Vienna which allows you to rent iconic Vespas throughout the city. 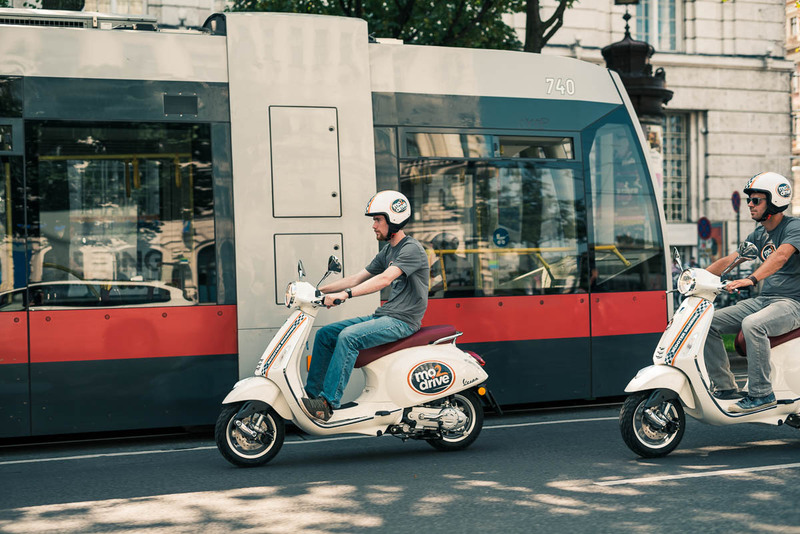 A mobile app will let you locate a scooter in the city and unlock it easily through your smartphone. Then, there’s nothing stopping you from exploring the city on two wheels, avoiding traffic jams and overcrowded trams and buses. 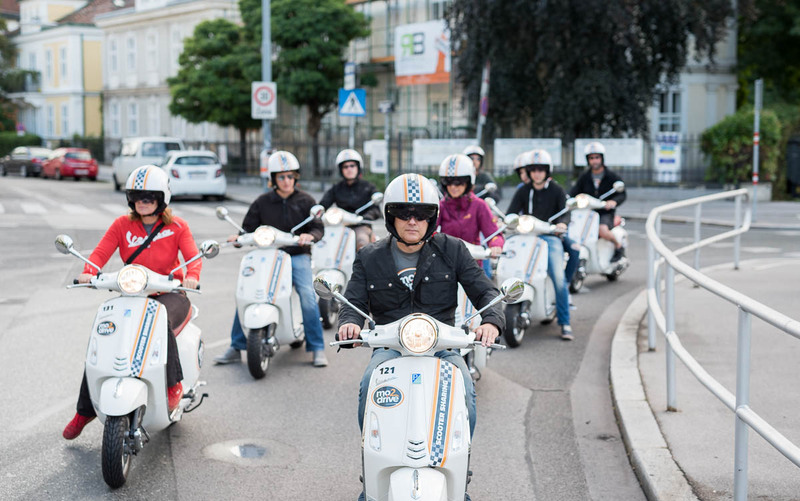 We would’ve liked a similar service to discover the city on a motorbike during our stay in Barcelona – the wind in our face, experiencing the pace of the metropole and feeling like being part of the city you’re only visiting for a few days. Actually, anyone on a city break wishes for that: getting to know and seeing the city from the perspective of a local. However, it doesn’t quite work this way. At least in terms of travelling in Vienna, Mo2drive makes you feel at home a little bit more. 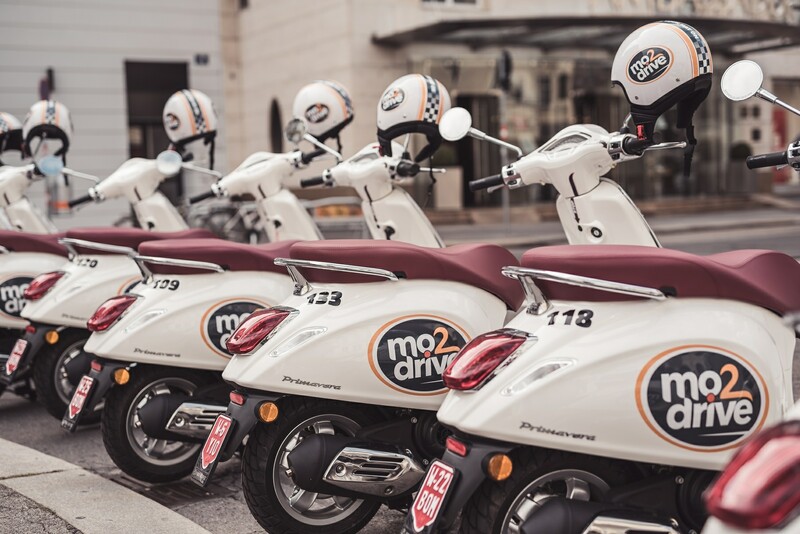 For all the people who love to ride a motor scooter, we are giving away 2 vouchers, each worth a free registration and 50 free riding minutes + 25 parking minutes! Just answer the following question by email at media@riserapp.com: how many underground (U-Bahn) lines are there in Vienna? The winners will be drawn at random from all correct entries received by Monday 17 September and will be notified by email!